We just began an install on a master bedroom design. Today I went to install bedding and draperies. We painted the walls a rich medium brown. The color scheme is navy and steel blue with white and rich brown. The colors are stunning together. If you want to add drama to any room, rich warm color on the wall can really create that drama you’ve been wanting. The client’s son says he feels like he’s in a hotel. Ah, every night in a luxury hotel. Now that will do something for your attitude. I do admit that color is tricky, especially when its deep and for such a large surface. It really does need to be selected carefully and so much has to be considered for the application. Here are just a few of my favorites as we figure you must love to look at beautiful things as much as we do if you are reading this. Paint your world, but remember to pull it altogether…. Not sure who to credit here. The contrast is a little lower because there is more variety of values used. Not the color combo you see every day and I love that. The colors give the room a fresh casual appeal. Tomas Pierce Id. Again, much contrast equals much drama. Great job with the balance. Tom Stringer. Yes, brown IS one of the easiest ways to go dark without being overly bold. Brown is neutral and easier on the eye. Here because it has much contrast with the white it is a bolder look. Pair it with medium values and it can be more soothing. I’m one that loves more impact in children’s rooms that your typical cutesy items from the store. I love that they used rich color here. 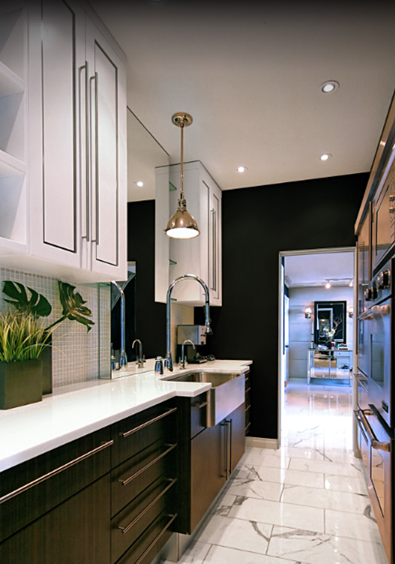 Paired with white it give it a fresh young look, but the dark walls set it off perfectly to give it more punch. Who says a child’s space has to be pink or blue. Just don’t go too crazy or your kids will be bouncing off the walls from the effects of too much COLOR. House of Turquoise Blog.